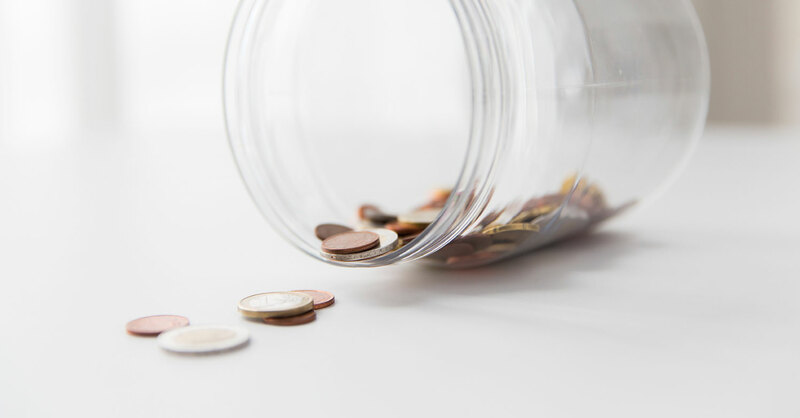 Retiring without enough money set aside and having insufficient emergency savings causes more worry than any other money topic, according to the 2015 Consumer Financial Literacy Survey. No one likes that pit-in-the-stomach feeling when they’re caught short of money. But you don’t need a PhD in finance or a winning lottery ticket to rest easy—a budget will put your worries to rest! Here’s how a budget can take you from sleepless nights to sleeping like a baby. This is what causes 13% of people to feel a lot of anxiety. It’s no fun to feel unprepared for a leaky roof or broken alternator. An emergency fund is the best fix for that! Here’s how: Start by saving $1,000 into a starter emergency fund. Then pause the savings and focus your money on paying off any debt you have. Once you’re debt-free, bump up your emergency fund until you have three to six months’ of expenses set aside. Make short-term cuts in your spending by skipping your morning double latte or going with the basic satellite TV package instead of premium. Pick up an extra job and direct all the money toward your rainy-day fund. Look for deals, use coupons, and buy consignment to save extra money on everyday needs. Trust us, you’ll breathe a lot easier once you’ve got an emergency fund in place! This is the only area that worries people more than emergencies. The CFL survey finds that 15% of us toss and turn over not having enough saved for our golden years. Retirement can be intimidating. But growing your nest egg starts with—you guessed it—your budget. We recommend you put 15% of your gross income into retirement savings once you have your full emergency fund in the bank. If your employer offers a retirement plan with a match, go for that first. Contribute just enough to get the full match. Max out a Roth IRA. This kind of investment grows tax-free! If you do those first two and still haven’t hit 15% of your income, go back to the 401(k) and bump up your contributions until you get to 15%. You don’t even need to wait until your emergency fund or retirement account is full to breathe a sigh of relief. Simply starting to save makes you feel relaxed. Like, just-got-a-massage relaxed. Chase that feeling by getting your EveryDollar budget ready.